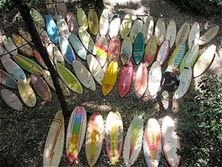 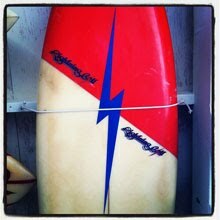 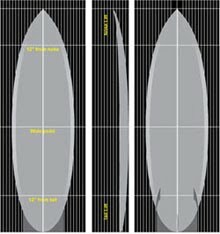 I am pleased to share with you my 6'0" G&S Zapper, shaper unknown. 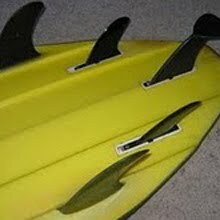 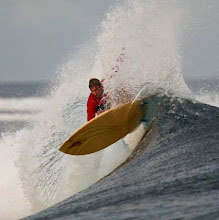 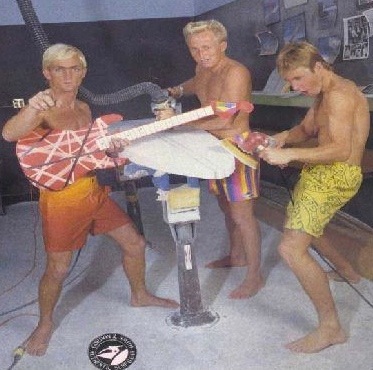 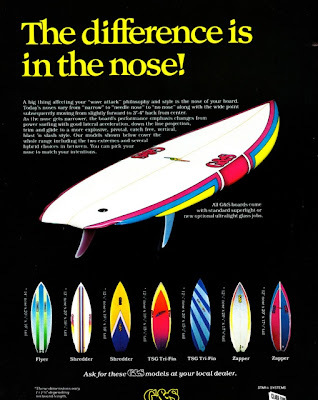 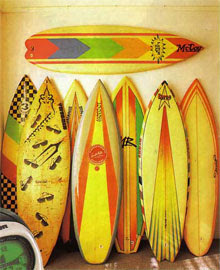 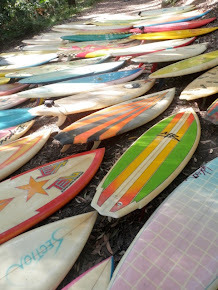 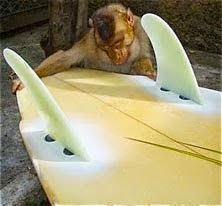 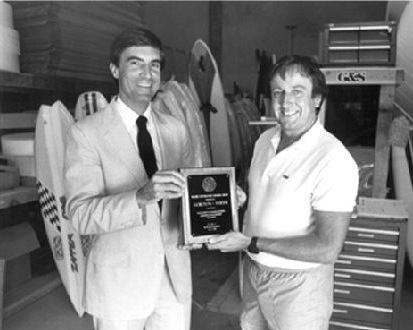 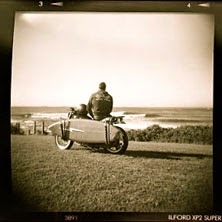 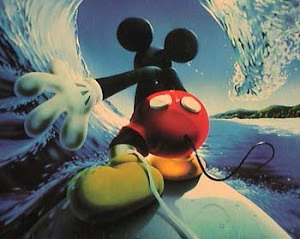 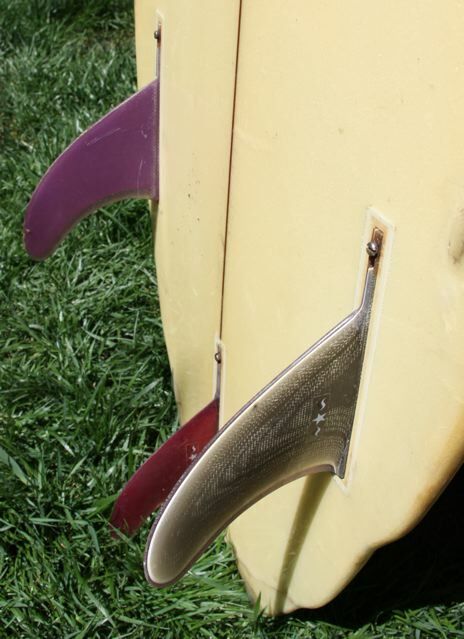 The G&S Zapper design was clearly inspired by Geoff McCoy's 80's Laser Zap needle nosed, fat bum concept that was, in my books, at the pinnacle of the late 70's early 80's innovation period surfboard design movement. In the photo above you can just see a G&S Zapper behind the 1982 Mayor of San Diego's elbow with Laser Zap style checker board spray. 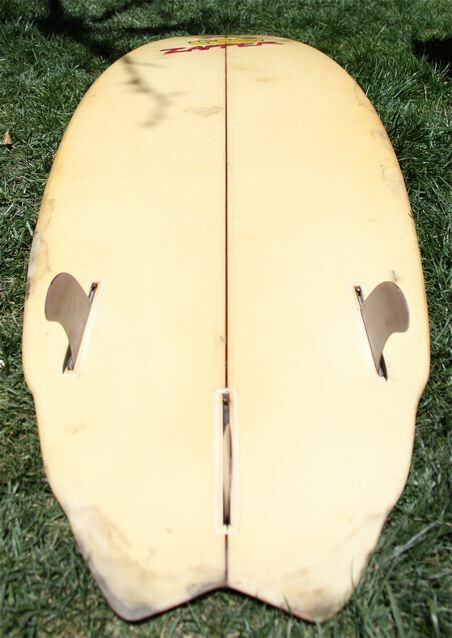 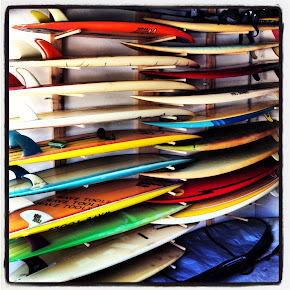 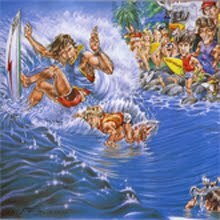 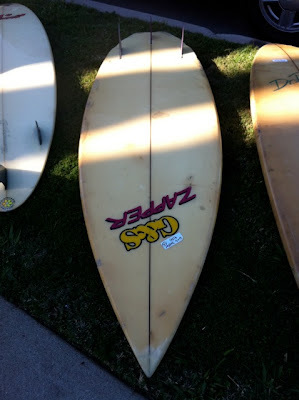 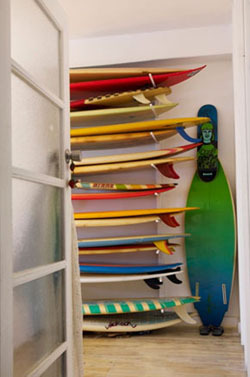 I loved this board as soon as I saw it at Surfboard polooza at Kris's house because of its rare 3 fin Star fin set up, its double hip swallow tail bottom end and its small wave outline that it looks like it would be a tonne of fun to ride.